Taking ideas from Scandinavian bedrooms will help produce a soothing feeling. The Danes, Swedes and Norwegians are adept at staving off the effects of winter’s shorter daylight hours with a limited palette of neutral colours. Shades of whites, cool blues and soft greys are ideal. But this doesn’t mean you can’t deviate from this path to give the room more personality. Add accent colours for furniture and accessories – dark, earthy tones of brown, charcoal and black work well. Further enhance the uplifting effect of your bedroom’s colour palette by allowing natural light in too. Tie back curtains during the day; this will help to clearly separate the daytime and nightfall, so your body can recognise the distinction and find it easier to relax. There are other ways you can boost your home’s natural light as well, including furniture coated in reflective metallic paint or fabric and clever placement of mirrors. And, as you retreat for the night, it’s a good idea to stop using devices that emit blue light for a couple of hours before bedtime to minimise sleep disruption. Another Scandinavian-inspired bedroom idea is to layer the space with organic materials like linen, wool, cotton and hessian to add a natural feel. Soothing on the skin, these are perfect for giving the room more character too. Soft cotton rugs on a wood floor or chairs and sofas covered with chunky knit woollen throws also add hygge vibes for a cosy finish. 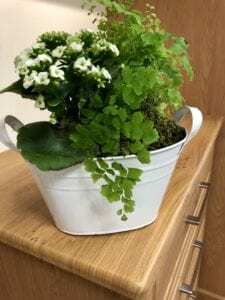 Verdant plants have proven to be valuable for achieving a better quality of sleep. They purify the air, improve your mood, and help accomplish a striking contrast by bringing colour against the room’s neutral palette. Orchids and chain cacti are particular favourites of ours, as they require little maintenance to keep them flourishing. Perhaps the reason for not being able to achieve a sense of calm is due to discomfort. This could be as a result of the temperature being too hot or cold, or an incompatible bed. Whether it’s an additional layer of warm bedding or better control over your thermostat, there are plenty of ways you can ensure a more ambient temperature. Additionally, you might need to look into swapping your mattress or pillow for something more supportive. Even clutter can produce a sense of chaos that means you find it harder to sleep easy in the first place – check out our five steps to find out how to restore a little calm into your home. Trying to achieve a more relaxing bedroom can seem difficult if the factors affecting your sleep, like an uncomfortable bed and clutter, feel unavoidable due to the architectural features of your home. Fitted storage is the perfect solution and will make your bedroom feel more spacious. 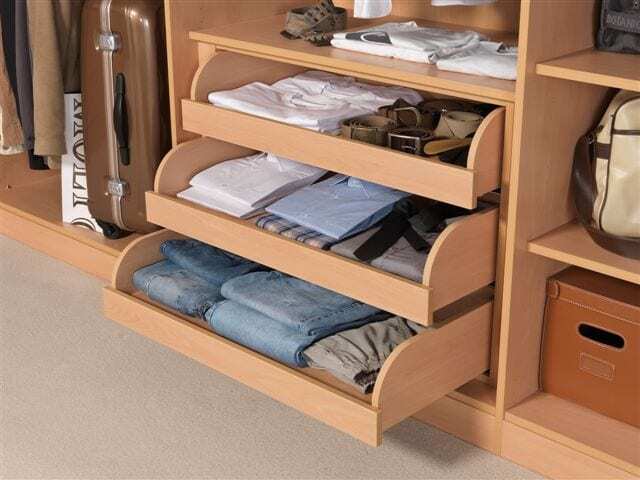 You could opt for fitted wardrobes and interior drawers, so clothing and other items will have a dedicated home. Or perhaps a wall bed to cut down on the space it takes up. 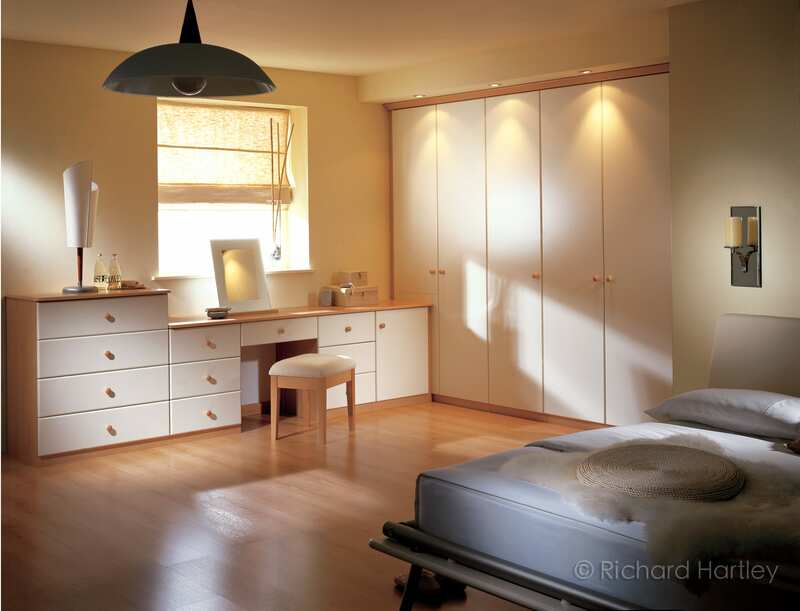 There is plenty of inspiration for fitted bedroom furniture in the Hartleys brochure. If you need a little help figuring out the best ideas to implement, as well as crafting a pleasing design for your sleep space, turn to Hartleys. You can receive bespoke creative advice from our team by calling 01756 700471, or take a look at our fitted ranges by visiting our Yorkshire showroom. You can even request a design visit so that we can ensure your relaxing bedroom meets your vision precisely.